For those who love simplicity! 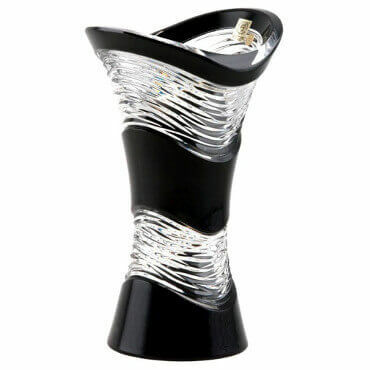 The combination of black and white in colored crystal is an exception. That is why a series with a Fan decor is so desired! These crystal gems are particularly suitable for modern interiors where they will spotlight minimalist look of a flat, a house or an office of high management. Decor Fan is timeless and appeals to younger generation. Thanks to the cut in the shape of a square, crystal products from Quadrus set gains totally unique properties of light reflection. 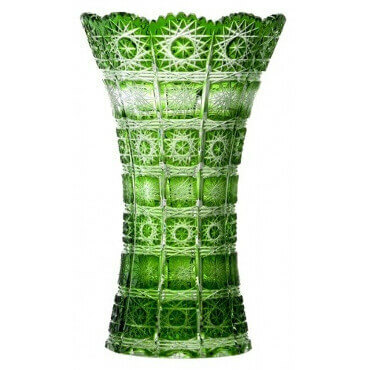 You will not need flowers nor fruit – vases and bowls from Quadrus set will dazzle any visitor of interior only because of sunlight which will impact on them. Even in artificial light, their beauty does not decay. On the contrary! Cyan blue will get a tinge of mystery but it will continue to sparkle. This costly cut refers with its name to the ladies´ headbands which have always been a decoration of nobles. Even today, Tiara series is designed especially for demanding customers, lacking beautiful and unusual interior accessories on the market. Most excelling is Tiara cut in ruby color – there is passion, elegance and femininity interwoven in it. Get excited for vases and bowls with sharp features! 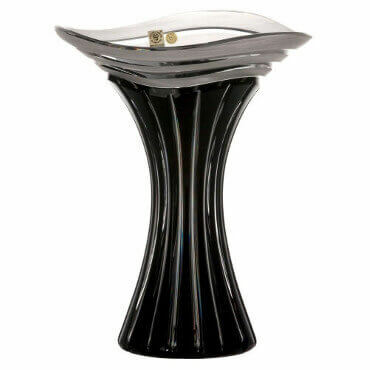 Straight sharp lines and black color – this is the combination for design connoisseurs. Not everybody can properly appreciate this luxury crystal. Mars décor requires strict simple interior, in which its straightforward beauty will stand out and his owner should be a lover of geometry. Hoarfrost decor inspiration was found in a winter landscape. Frost can create the most beautiful designs and hoarfrost is one of them. Fine ice needles are therefore the basis of this décor. Combined with the deep purple color are arising highly elegant, timeless pieces of layered crystal that greatly tunes every interior. 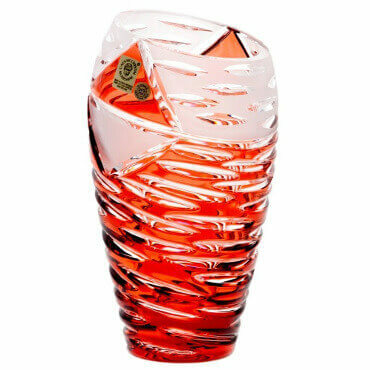 Under the brand name TOP CRYSTAL, luxurious colored crystal products with 24% content of PbO, which were hand made by the best Czech glassmakers hide. 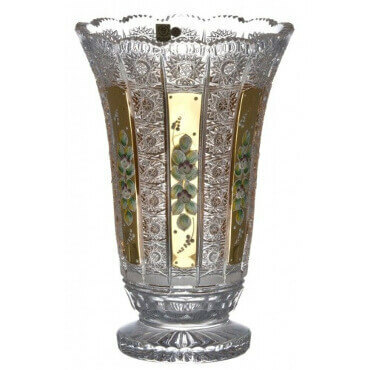 This traditional method is used in the production of cut crystal products, which we offer. Production of these exclusive products is so demanding, that a method for machine production has not been found yet. 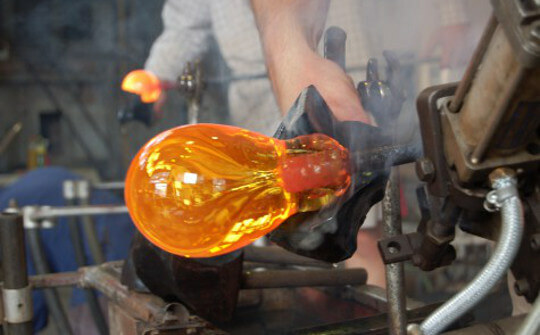 When blowing glass, a covering of clear crystal base with a thin layer of colored crystal occurs. 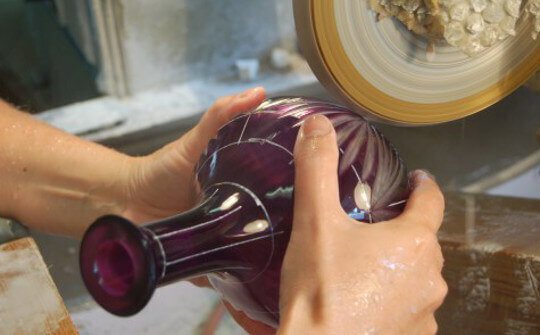 This color layer is then manually abrased with diamond wheels. And in this lies the secret of unrepeatable effect that creates light in contrast with the color and clear crystal. 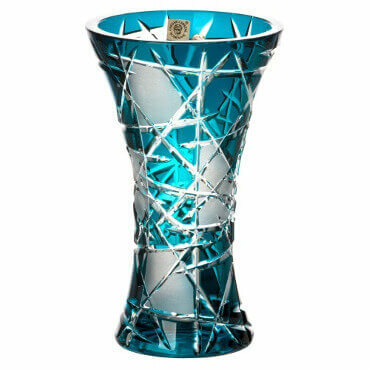 Products made of colored crystal are designated for demanding customers who appreciate excellent craftsmanship. They will find the right thing of traditional interiors as well as devotees and lovers of modern minimalism, in these design collections. 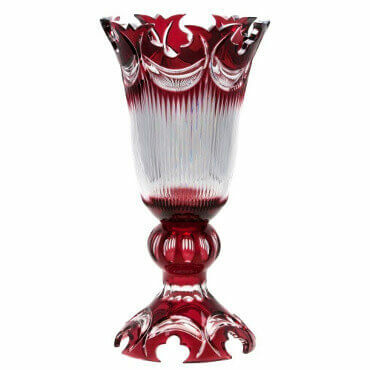 Czech crystal is also an ideal luxurious gift with high artistic and production value, because each vase, goblet, candlestick and bowl is blown and sanded as an original. Our products go through several levels of output control and only the finest ones become the bearer of the brand and go to customers. TOP CRYSTAL brand is the official distributor of Czech glass products. Why should you buy Czech colored and clear crystal from us? Because with each piece, you are buying original and 100% Czech product. Layered crystal production process is so demanding that it has not been possible to replace manual labor with machine manufacturing yet. By using many layers of padding from different materials, we achieve that every cup, vase or candlestick will rest pampered in a box during transportation to you. Do not be intimidated that box will be disproportionally greater than the consigned product. Crystal is very fragile and therefore needs a really great care. Join us to subscribe to news from our e-shop and get an overview of new products, discounts, and products in action.